With the Moto 360 alongside? 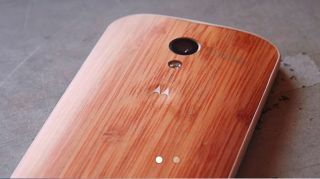 Motorola's already confirmed that the Moto X will arrive "late" summer, and the latest word is that we'll officially see it on September 25. That's according to sources speaking to Droid Life, who claim that US network Verizon is expecting the new phone "by September 25". That doesn't guarantee that September 25 is the earliest we'll see it, as there's always a chance Verizon could get it a bit later than other US carriers. But it's certainly as 'late summer' as you can push it (in fact, that's three days into autumn if you're living in the US). Also promised for late summer is the Moto 360, so there's a strong possibility we could see it launched alongside the Moto X+1, and possibly after the iWatch - John Gruber's hypothetical scenario may be realised after all. The Moto X took around six months to break out of the US after launch, so here's hoping Motorola doesn't leave the rest of the world waiting so long this time.